Maybe not as famous as it’s ‘sister’ the Tour de France, but by no means any less of a race. One of the three Grand Tours along side the Vuelta a España and the famous French tour, the Giro d’Italia famous for it’s spectacular scenery and gruelling mountain stages from the Passo dello Stelvio and Mortirolo. 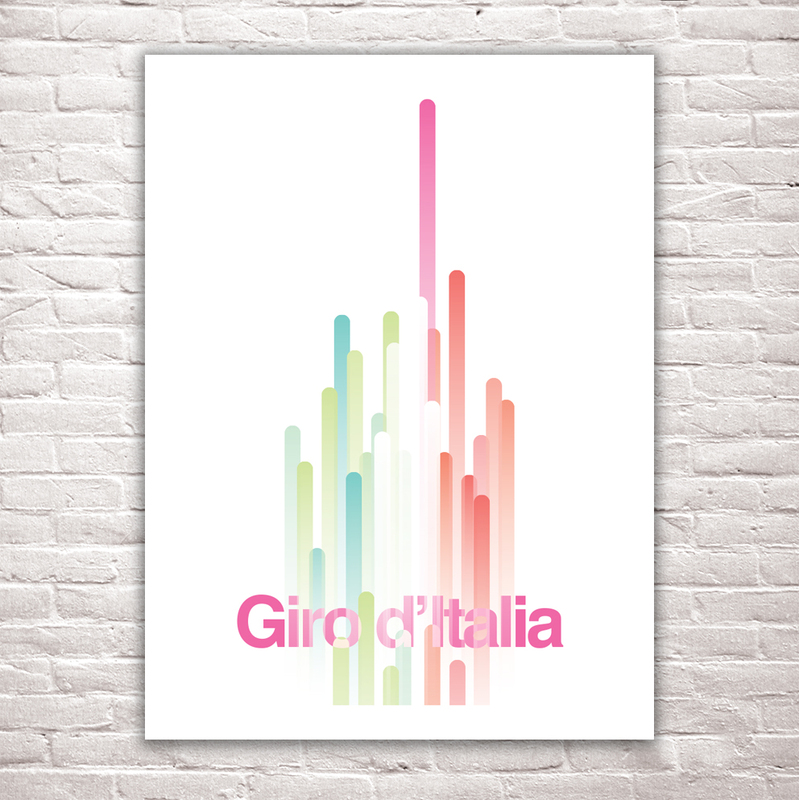 A simple graphical illustration depicting this famous cycling race, using the colours of the Italian flag and the pink of the Maliga Rosa which the leader and eventual winner wears.